10mm elastic solid white bungee shock cord x 30 meters hank. Free Shipping on this item. 10mm elastic white with blue fleck bungee shock cord x 30 meters hank. Free Shipping on this item. 8mm elastic solid white bungee shock cord x 50 meters hank. Free Shipping on this item. 8mm elastic white with blue fleck bungee shock cord x 50 meters hank. Free Shipping on this item. 6mm elastic solid white bungee shock cord x 100 meters bulk spool. Free Shipping on this item. 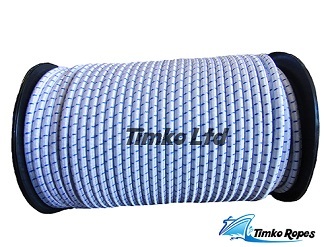 6mm elastic white with blue fleck bungee shock cord x 100 meters bulk reel. Free Shipping on this item. 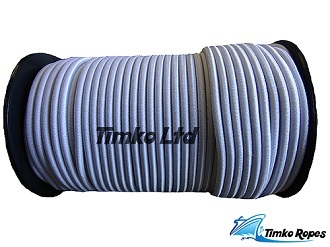 10mm elastic solid white bungee shock cord x 50 meters hank. Free Shipping on this item. 10mm elastic white with blue fleck bungee shock cord x 50 meters hank. Free Shipping on this item.